In the last decade or so, alternative dispute resolution (ADR) – mediation and arbitration – has come a long way. In fact, a good argument can be made that the “A” in ADR could probably be dropped. Briefly, mediation is the process of seeking a negotiated resolution/settlement to a dispute using a neutral third party to facilitate the negotiation. There is no “decision maker” in a classic mediation. Mediation is a process that can take place outside of litigation entirely, be engaged in the context of litigation in an attempt at pre-trial settlement, or can even take place in the context of an arbitration proceeding (Med-Arb or otherwise). Arbitration, by contrast, is much closer to the adversarial and adjudicative process that we associate with the courts. Sometimes arbitration is mandated by legislation or a non-negotiated contract between that parties (that one party didn’t really have any say in). In those cases, a party might be stuck with arbitration whether it/he/she wants to be or not. Other times, however, parties will jointly agree to forego the courts in favour of arbitration. There are, as far as I’m concerned, only really four essential reasons that parties might opt for arbitration over litigation. Privacy – unlike court proceedings, which are public in nature, arbitration is a private process where no decisions are published and the parties can keep the evidence and outcome private. Process – parties to an arbitration normally have the opportunity to agree upon procedures and rules that are different from the Rules of Civil Procedure and thereby shape and tailor the process to suit the needs of the dispute. 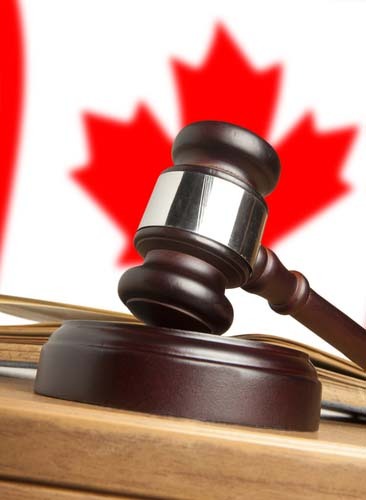 Speed/Cost – because an arbitration has an adjudicator hired by the parties and they are not caught in the public system “waiting their turn”, there is at least the theoretical possibility of getting a result faster than if the parties were simply to litigate (for example, in Toronto it is not uncommon to have to wait five or six months to get a 15 minute hearing for a simple procedural motion). Appeals – the parties to an arbitration can limit the rights to appeal the decision of the arbitrator. Zafir Holdings Inc. v. Grassmere Construction Ltd., 2013 ONSC 1835 is a very recent case out of the Ontario Superior Court of Justice that demonstrates how the objectives of arbitration aren’t always satisfied in the manner that the parties may have hoped when they agreed – perhaps with flowers and butterflies floating about – to arbitrate. Zafir Holdings was the owner and Grassmere Construction was its general contractor in relation to a large industrial construction project. A dispute arose between Grassmere Construction and one of its subcontractors regarding some of the earthworks and that dispute percolated its way up to become a dispute between the Grassmere Construction and Zafir Holdings. Grassmere Construction’s subcontractor got judgment at a trial against Grassmere Construction and Grassmere Construction and Zafir Holdings agreed to arbitrate the issues between them. The arbitrator found that Zafir Holdings owed Grassmere Construction a large portion of the amount that Grassmere Construction had to pay its subcontractor (as well as other amounts in relation to other issues). Zafir Holdings sought, and was granted, the Court’s permission (leave) to appeal the arbitrator’s decision. Privacy – the appeal, and the very fact that I was able to read the Court’s Decision and write about it here, means that if the parties had privacy as one of their objectives (whether unilateral or mutual), that benefit of arbitration has been lost. Process – there’s no way to tell whether the parties achieved any benefit here but, insofar as the ability to modify process usually has cost as its objective, I generally doubt it. Speed/Cost – the dispute arose in 2004 or 2005 and Grassmere Construction’s subcontractor obtained its judgment in June 2010. By contrast, Grassmere Construction and Zafir Holdings didn’t get their decision in the arbitration until November, 2012 – two and a half years later! Given that both Grassmere Construction and Zafir Holdings were likely involved in the litigation with the subcontractor (at least to some extent) and then had to adjudicate their dispute before the arbitrator (and pay the arbitrator’s fee which was likely substantial), it’s hard to imagine how there might have been significant cost-savings in the way that it all unfolded. Appeals – Zafir Holdings has been granted leave to appeal so there was no benefit here (in fact, the motion to seek leave to appeal added a layer of cost that wouldn’t have existed if the underlying arbitration decision had been a judgment of the court). I’m not anti-arbitration – it certainly has the potential to be a useful alternative to litigation in certain types of cases. However, cases such as Zafir Holdings Inc. v. Grassmere Construction Ltd. highlight the reason that I believe most parties contemplating putting a mandatory arbitration provision into an agreement, or those facing a decision whether to arbitrate rather than litigate in the face of a dispute, should very carefully and deliberately consider the potential benefits of arbitration. In such circumstances, the question should be asked: “Is there a really compelling reason that I/we should take on the cost of an arbitrator (in addition to the cost of my/our lawyers) rather than proceed in a public forum and let my/our tax dollars pay for the judge?” More often than not, in my view, the answer will be “No”.